The Ohio State University Comprehensive Cancer Center – James Cancer Hospital and Solove Research Institute (OSUCCC – James) will soon launch a second statewide screening and testing program that aims to save lives in Ohio. Michael A. Caligiuri, MD, Director of the OSUCCC and CEO of The James, touched on this program and how else the OSUCCC – James is changing the landscape in cancer care and research in his annual State of the Cancer Program Address late last year. Beating Lung Cancer in Ohio (BLC-IO) is the new statewide program to be funded by Pelotonia, the grassroots bicycle tour that raises millions for cancer research at the OSUCCC – James each year. 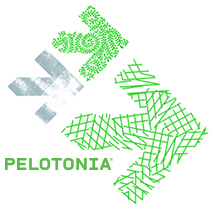 BLC-IO is supported by a $3 million grant from Pelotonia, and recruitment will take place over three years starting in March 2017. The study has two aims: To evaluate the impact of advanced gene testing and expert advice on lung cancer treatment and subsequent patient survival; and to improve smoking cessation rates among smokers with lung cancer and their family members. Improvements in patient quality of life will be assessed in both study aims. The first statewide program of this kind at the OSUCCC – James was the Ohio Colorectal Cancer Preventative Initiative (OCCPI), funded by Pelotonia. More than 1.2 million people in the United States have Lynch syndrome, an inherited genetic condition that greatly increases a person’s chances of getting colorectal cancer, endometrial cancer and other forms of cancer. “If you have the gene, you’re a walking time bomb,” Dr. Caligiuri said, adding that 95 percent of those with Lynch syndrome don’t know they have the genetic disorder. However, if people with the gene are regularly screened, such as with a yearly colonoscopy, pre-cancerous polyps are more easily detected. The polyps can be removed through a simple procedure before they become cancerous. The OCCPI screened more than 3,000 colorectal cancer patients to determine if they had Lynch syndrome, and then screened the family members of those patients with the genetic mutation. “We found a lot people with the gene and this saved 639 years of life and $40 million in healthcare costs,” Dr. Caligiuri said. Dr. Caligiuri announced the OSUCCC – James “is fully prepared to take this national” with the National Initiative for Colorectal and Endometrial Cancer Reduction (NICER) that could test 300,000 cancer patients over three years. It’s estimated that about 11,000 of these patients have Lynch syndrome, and that 34,000 of their relatives have it and are at high risk of developing cancer. NICER would save an estimated 63,000 years of life and more than $1 billion in healthcare costs. This part four of a four-part series on Dr. Michael Caligiuri’s annual State of the Cancer Program Address. Read the previous sections at the links below.